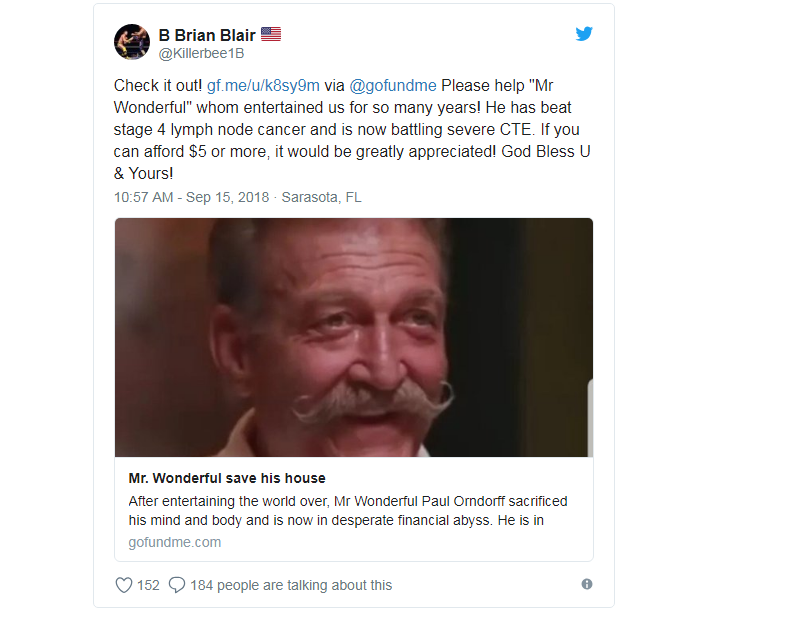 So, if you saw the headline you will know that not only Paul Orndorff has suffered from cancer but now he is facing issues with concussions and CTE. He will lose his house as he has no income coming in. If you want to read more about this here is the story. Also, PWF, PLEASE support our fallen wrestlers and just give a dollar if you can to his go fund me. Help a guy out and get some good karma back.